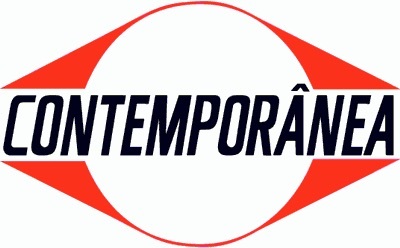 Browse Contemporanea | Musical Instruments | GAK. Brazilian samba instrument maker Contemporanea has a reputation for quality, they make some of the best samba musical instruments for the Brazilian Beat.Traditional bass drums (“bombos”) became “surdos,” strapped to the waist of a marching player, Snare drums morphed into “repiniques” (a slightly longer, high-pitched drum with no snare/strings) and the 14” drums became “Malacachetas,” another type of small drum for percussion sections. The tamborim is used in many genres of Brazilian music. Contemporanea Pro line instruments are extremely popular among Samba instrument players all over the world. Samba Percussion from Contemporânea, one of the finest makers in Brazil. The KS 1 samba set includes a Nesting Repinique, small and medium sized Surdo drums, Tamborim, Agogo Bells, Ganza and samba whistle. The KS 2 samba set includes small and medium and large sized Surdo drums, Tamborim, Agogo Bells and Ganza as well a samba whistle. Samba set includes small and medium and large sized Surdo drums, Tamborim, Agogo Bells and Ganza as well a samba whistle. The Traditional set includes small and medium and large sized traditional Surdo drums, Tamborim, Agogo Bells and Ganza as well a samba whistle. Suitable for classroom use and workshops.